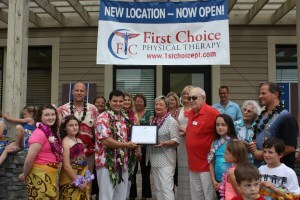 First Choice Physical Therapy: We have officially launched! Wade Rinehart, Mayor Gayle Oberst, Ambassadors of the Panama City Beach Chamber of Commerce and about 100 other family, employees and friends were on hand for the Grand Opening Ceremonies of the new First Choice Physical Therapy clinic at Village of Grand Panama. Those that attended enjoyed snacks, cookies and cakes with the highlight being Another Broken Egg’s Shrimp and Grits. The threat of rain kept Elvis off the stage for a little while, but the weather improved enough for Todd Alan Herendeen and the band to play for most of the next 3 hours. We really had three main themes of our happy gathering. The Grand Opening ribbon cutting and plaque were center stage, but we also used the time to remind people of our support of All My Heart Haiti and to celebrate Wade’s 40th birthday. Thank you all for your well wishes and prayers. 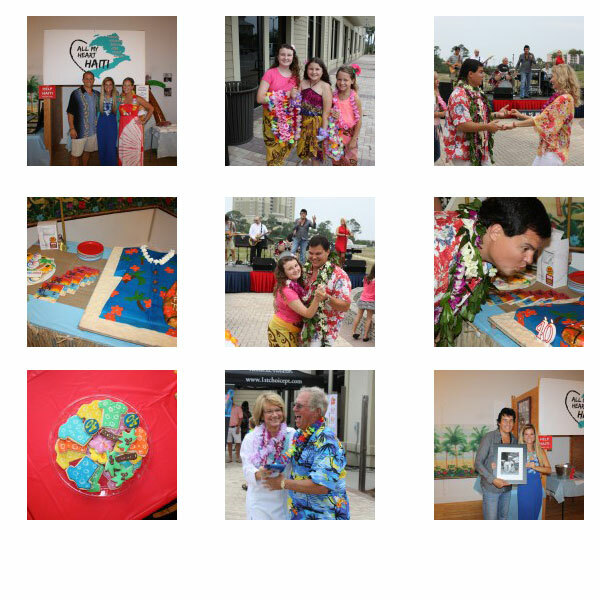 Here are just a few of the 200+ photos snapped during the fun.